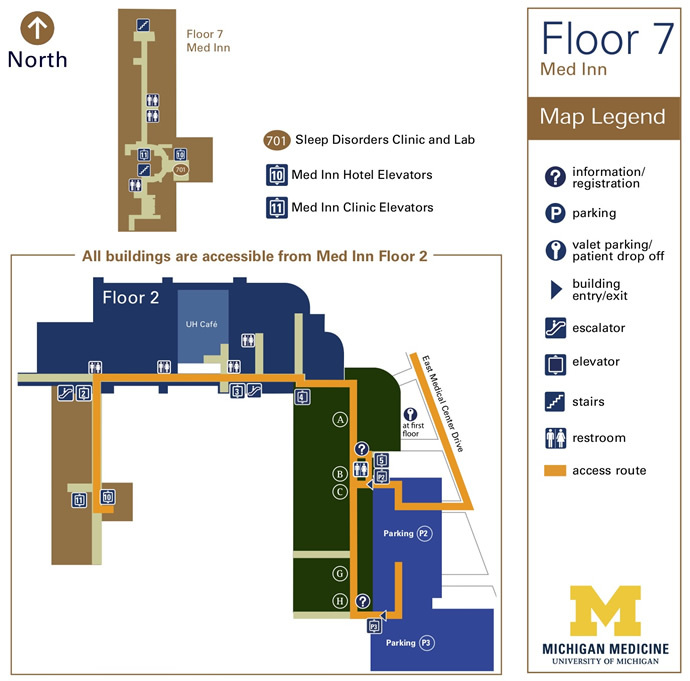 Take the parking structure elevators P2 to Floor 2. Follow the signs towards Med Inn / Elevator 10. Take Elevator 10 up to Floor 7. As you exit the elevator, the Check-In desk is on the left.